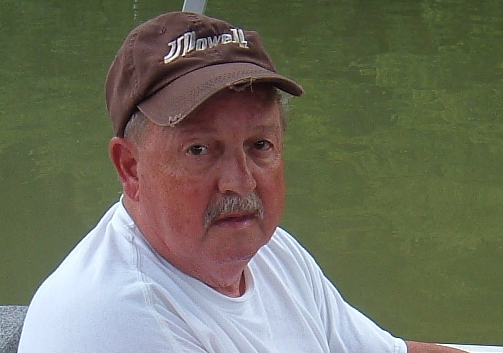 Terry L. Yocum Sr., 80, of McVeytown, passed away at 10 p.m., Wednesday, July 4, 2018. Born June 30, 1938, in Lewistown, he was a son of the late Rudy Sr. and Aretta (Ritter) Yocum. In addition to his parents, he was preceded in death by: his wife, Rosa S. (Secrest) Yocum; son, Terry L. Yocum Jr. in June 2007; three brothers, Arthur, Rudy Jr. and Don Yocum; and a sister, Dottie Burkholder. Terry is survived by: his son, Brian K. Yocum Sr. and wife, Lori, of McVeytown; four grandchildren, Jeffrey Yocum and companion, Amanda Jackson, Terry L. Yocum III and wife, Courtney, Brian Yocum Jr., and Nicole Lewis and husband, Seth; six great-grandchildren, Trevor, Terry IV, Renee, Parker, Elijah, and Rosa Mae Yocum; and siblings, Sylvia Johnson and Mary Yocum, both of Lewistown, Margaret O’Hara and husband, Bob, of Granville, and Delwain Yocum, of Lewistown. He was employed at Fisher Electronics/Sanyo Corporation as a production lead, from which he retired. Terry was also vice president, then president of Local Union 2115, International Brotherhood of Electrical Workers (I.B.E.W.). Terry loved his family and spending time with his grandchildren and great-grandchildren. He loved hunting, relaxing at his river lot and watching western movies. A viewing will be held from 5 to 7 p.m., Sunday, July 8, 2018, at Hoenstine Funeral Home, 75 Logan St., Lewistown. A funeral service will be held at 11 a.m., Monday, July 9, 2018, at the funeral home, with Pastor Randy Traxler officiating. Interment will take place at Juniata Memorial Park.